Your tyres are vitally important to your safety as they are the only part of your car in contact with the road. It is therefore vitally important that you have quality tyres fitted correctly. 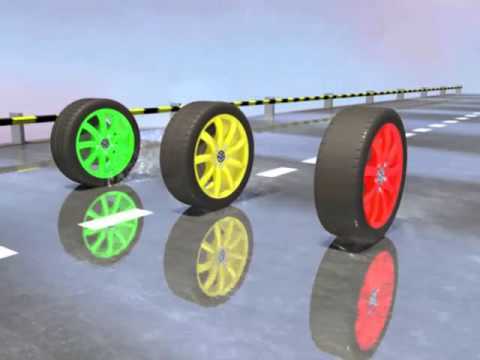 Tyres featuring different construction types, for example radial and cross-ply, must not be fitted to different sides of the same axle. There is a legal requirement to have the correct type and size tyre fitted to your vehicle. According to UK law the minimum accepted tyre tread is 1.6mm. This must be across three quarters of the tyre’s width and around the complete circumference. Whenever you have a vehicle health check at Jardine Motors Group we will check your tyres and report back to you your tyre tread when it is 3mm for your convenience. Our Volkswagen specialists can help you choose the right tyre for you, your vehicle and your driving style with our vast range of tyres available.